Looking back over the years of casino table games, particularly poker and blackjack, you might think they are just games but both require a certain amount of skill and strategy. Taking the time to get to know these two favourites a little better, will definitely shed some light as to which one will be the best for you. So we are weighing up the odds and looking at the strategies of each including some features that make the games so likeable. 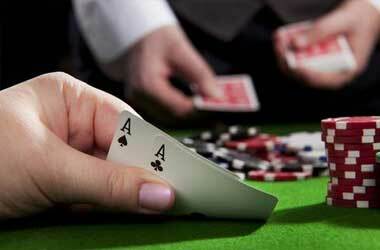 Poker started out in the seventeenth century with a slightly different game called ‘poque’. It originated in France and they were known to play it with three cards and were popular for bluffing. When the trend moved to America by French settlers, Louisiana and Mississippi were the first two states to start playing this game. As it evolved in the 19th century, they started introducing a 5 card variant that was called ‘poker’ as we know it today. 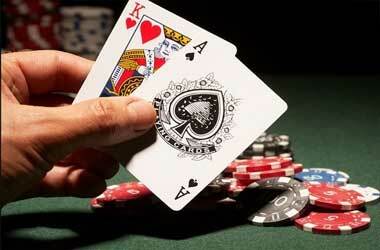 The most established game of poker was started in 1970; known as the all famous Texas hold’em. If you are looking for a game of chance, poker will be the one. Your game is mostly focused on winning against the players around the table than winning the casino house. However, if you look at the odds in poker the favour will definitely be for the house. Your chances of winning in a poker game are about a percentage of up to 3% with about an average of 7-8% to break even. That leaves the house in charge with about 90% of winning. Players that have a bit of experience and knows what to look for in each possible hand might change the odds slightly. But do not get too comfortable, as you will be hoping that the odds will change to your advantage. Learn the basics – To win the game you will need to do some groundwork. Poker is one of the games with the most variations to learn. Know the basic rules and which hand beats what. Take the time to have a look at how each hand will affect your strategy. Also knowing how to read the table and your position around the table. Advanced options – Some of the more advanced concepts are tight-aggressive, loose-aggressive and they loose-passive. You will need to know the difference and what each one means. Reading each component type will definitely make you the best player in the game. Apply your skills – Now that you have mastered your new skills, it is time to start practising it for real and apply them to the games you play. Continue learning – The last leg of being a successful poker player is to keep on learning. You will always find someone that has more skills than you. Keep on reading and improving your knowledge; you will certainly reap the rewards when it comes to high stake games. Strangely enough, blackjack also originated in the 17th century in France, renowned as ‘Vingt et un’ or more easily as ‘21’. The game was brought to Nevada in America, where casino owners decided to add an extra twist to the game. If someone had a hand involving the ace of spaces and either the jack of spades or clubs, they will receive a massive 10:1 payout on their bet. That was when the name changed to blackjack. 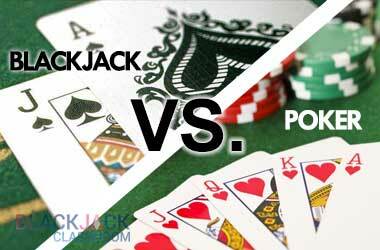 Comparing all the odds of the table games, blackjack has the best odds of all of them. It has a house edge of as little as 0.20% up to 0.63%, this can be determined by the number of card decks in the game. Your chances of winning can be increased by keeping an eye on the cards knowing when to choose which move. The strategy to playing blackjack is very mathematical. You are constantly working out what your next move is going to be by standing, hitting, doubling or splitting. There are also some advanced ways of winning by watching the cards very closely. This is not seen as illegal, but some might find it very intimidating and you might be asked to leave the table. So start your strategy by learning the extremely important basics and the different types of games and variations you find in blackjack will definitely give you the upper hand when you are dealt your next hand. There is a vast amount of learning material available to get up to par, but the best way of learning is practising. Blackjack is very tiring and draining over a long period of time and takes quite a lot of effort to get to the top. So when you finally have a look at the difference between the two games you will find both of them require a lot of skill and of cause luck, however, if you have the necessary skills and training, you are sure to be a successful player. It is said by poker players that they need a lot more skill in poker than the blackjack players as there are so many possibilities, but when you have a look at what is the world’s favourite game, blackjack tops the list by far. Poker players will play blackjack and blackjack players will play poker, but ultimately it boils down to individual choice and preference. So, it is up to you to decide.